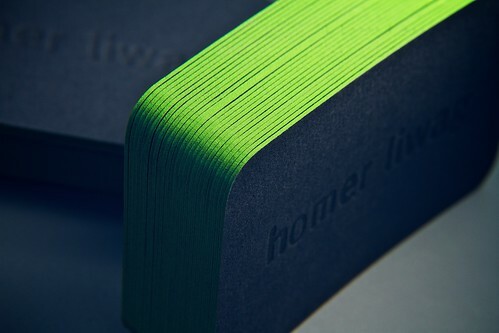 A bright green edge color makes these cards pop. 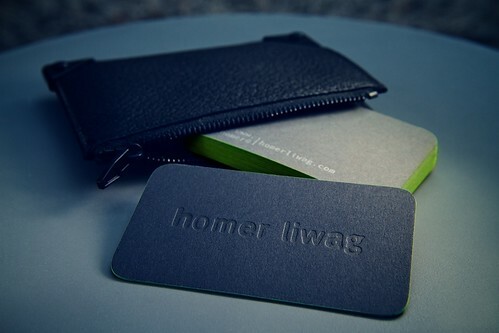 Today we’re posting business cards we recently printed for Homer Liwag, a Nevada based photographer, designer, and film maker. 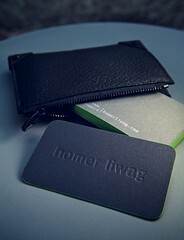 Homer designed his card, which went through a few edits along the way. We actually ended up printing the first design but just weren’t happy with how they turned out. 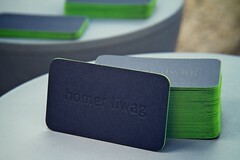 Taking photos and editing takes a lot of time so we were stoked when Homer sent us these photos he shot of the cards. Take a peak at the photos and the design after the break. The cards were letterpress printed completely on French Paper. We used a Dur-O-Tone steel gray for the front and Construction charcoal brown both in the 100# cover weight. French paper is one of the best alternatives to white cotton stock (typically Lettra) that also takes a good impression. 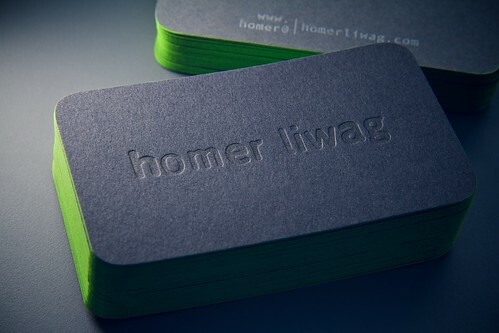 We printed black ink on the steel gray stock for Homer’s logo and silver metallic ink on the charcoal brown stock on the back of the card. Each side was printed on separate stock which were then duplexed, cut down, round cornered, and edge colored. 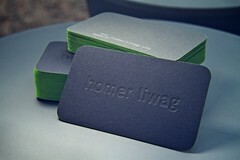 We’ve perfected the process of making business cards and invitations like this, and these cards really highlight that. The photo above shows how beautiful the bright green edging is on dark stock. It’s really important with a color like this on dark stock that the edge color be extra crisp, which you can see below. 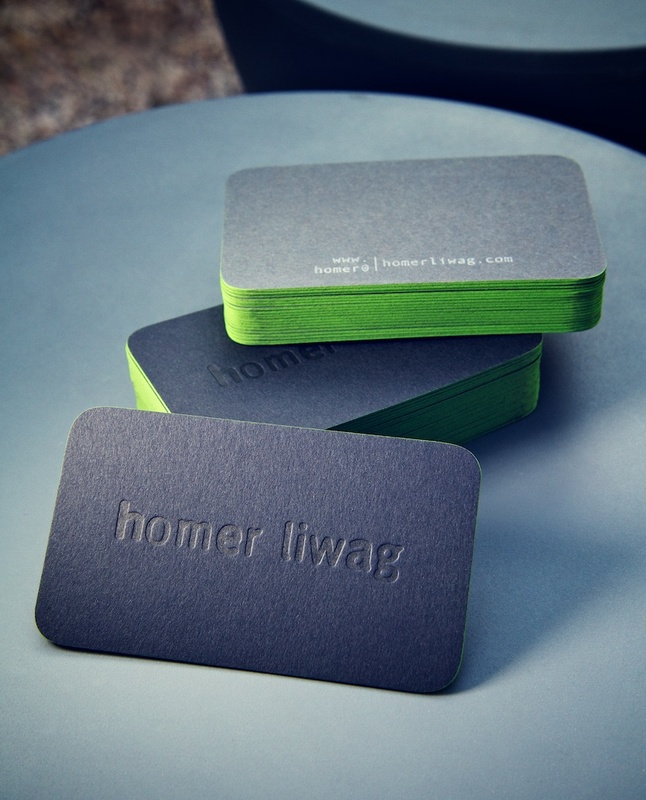 If you’re interested in custom business cards – design or printing – email us at contact@dolcepress.com for more information.